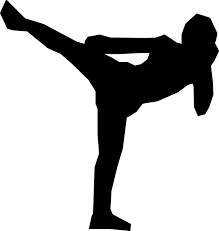 Though it was once primarily practiced as a means of personal protection, today, people have numerous reasons for seeking Littleton martial arts classes. While some people still learn martial arts to become more proficient in self-defense tactics, others have the desire to become more effective leaders or to forge life skills to enhance character development. Still others decide to practice martial arts as a means of improving their physical fitness. No matter what your reason for practicing martial arts, Club USA is proud to offer Littleton martial arts classes for people of all ages, backgrounds and skill levels. Countless people experience the many benefits of participating in martial arts every day. At Club USA Fitness in Littleton, Colorado, we are proud to bring these benefits to members of our gym. We offer martial arts in Littleton for people of all ages and skill levels, and we can help you improve your overall health while learning valuable self-defense tactics. If you’re interested in learning more about martial arts in Littleton, Colorado, contact Club USA Fitness today! You can reach us by calling 303-979-7772.